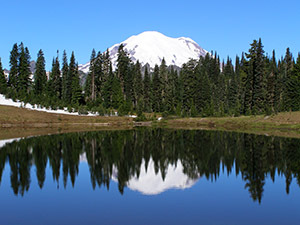 Protecting wilderness for the future is a most meaningful tribute gift! Making a gift to support The Wilderness Society in honor or memory of someone special or a special occasion is a great way to ensure magnificent, unspoiled wilderness will always be around for future generations to experience and enjoy. Since 1935, The Wilderness Society has led the effort to safeguard America’s wilderness — protecting nearly 110 million acres of our most pristine lands all across the country. Support from caring individuals like you enables us to continue this work, and we’re grateful that you have chosen to make a tribute gift today. In recognition of your tribute gift, we will send a letter to the person you’re honoring, or to their family, so they know about your meaningful gift. I want to make a tax-deductible gift to The Wilderness Society. If you’d like to make a one-time gift, click here. Yes, please send me information about Wilderness Appeals. If you donate and have not already registered, you will receive periodic updates and communications from The Wilderness Society.